John Fraser Fleet has a 35 year history in conducting Fleet Risk Management Programs that usually include defensive driver training in some form. In that time, we have developed our programs based on research into the causes of both urban and rural road crashes. A typical approach is to undertake an analysis of the company’s crash database in order that a suitable taxonomy or “typing” of the crash hierarchy can be developed thus permitting effective “counter-crash” strategies and tactics to be developed. The result is not just a simple Defensive Driver Training exercise on Skid Pads but a comprehensive defensive driver training program – “On and Off Road” which specifically addresses the crash producing factors isolated in our initial analysis. To establish clearly in the Professional Drivers mental regime the profile and causes of the Company’s crash types. Realization that driving skills alone will not reduce to chance of injury and cost to the Company. Realization of the dangers of “split tasking” when operating the Company vehicle. Re-enforcement of “space management” approach to reducing driving risks. Develop an overall appreciation of driving risk, particularly as it pertains to professional operators e.g. driving is the most dangerous activity undertaken by humans, ranking only second to suicide in the hierarchy of violent death in society (Royal Australian College of Surgeons). Develop an appreciation of human vulnerability i.e. humans are not designed to accept energy exchanges beyond 30kph. Develop awareness of risk to professional drivers with the legal system i.e. cost of court cases involving “Dangerous use of a motor vehicle causing death” = $50,000 (non- refundable) plus custodial sentence risk. This program has been delivered to a wide variety of Corporate and Government personnel in Queensland in recent years is based on the findings from studies of similar organization’s history. 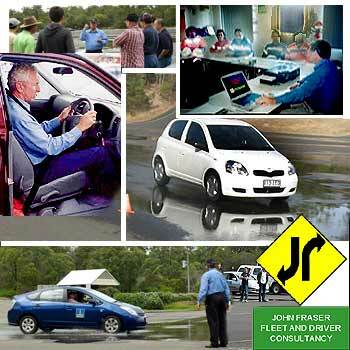 As a guide, the one day “Defensive Driver Awareness Program” presently delivered in Queensland is priced at $2420.00 per group booking of 10 personnel utilizing the Brisbane facilities, prices for larger groups is negotiable. Smaller size groups $396.00 per person – personnel Included into other courses conducted by JFFDC. A Statement of Attendance is issued on completion of the day’s activity together with a folder of brochures which summarize all of the subjects covered during the day. Additional materials concerning Alcohol and Road Usage, Vehicle Dynamics (travelling and impact speeds) First Aid, Child Safety Restraints, Vehicle Visibility limitations and the like is also distributed to all attendees. We also deliver a course “Drive Vehicle” This program uses a “one on one” on-road drive and a formal assessment to establish competency. On successful completion of the formal assessment, participants are issued with a Statement of Attainment to that effect. A useful program conducted over two/three hours on-road with the participant using their work vehicle in their work environment. Our instructor travels with the driver and gives feedback on ways of modifying their driving behavior to reduce the risks. This session is followed up with a full matrix and typed report forwarded to management detailing the performance and recommendations for the future for that driver. We have found that the #3 On-Road Defensive Driver Training listed above (a “one on one” approach to such drivers) works well. For a driver with a high crash record, we offer an “on-road” remedial session where out trainer/assessor travels with the driver and corrects inappropriate driving behavior as it occurs. This has the effect of modifying their techniques and also their attitude to their driving. Such a session can be conducted in three hours. Written reports are furnished on completion of these sessions. PRE – EMPLOYMENT AND INDUCTION Potential and/or trainee vehicle operators are catered for by an “in vehicle” two hour assessment and defensive driver training program preceded by a “Validity” check of the person’s Driver’s License and traffic offense/crash record (obtainable from State Transport Authorities). The above is the first vital step in establishing the “Safety Culture” mentality in a potential employee’s belief system. Full reporting and recording systems are managed by JFF and forwarded to Management Teams as required. Company Policy and “sign off” record books are an integral part of this initial step and JFF would work with Management in assisting the implementation of such a system. JFF would also assist Management in setting and maintaining Performance Management Systems for Driver Management eg: recording of driver complaints, speeding and red light offenses. JFF has had extensive experience with State Government authorities and the Corporate sector in implementing high quality, well researched crash investigations. JFF has been involved as a Consultant to Mechanical Engineers researching over 4000 fatal and serious injury producing crashes for State and Federal Governments. JFF can provide OHS training programs related to corporate drivers and fleets. JFF has had extensive experience in analyzing traffic flow procedures in inner City Underground Car Parks, Quarries, Mining Sites and the like. JFF consults to Mining Companies and Local Government Authorities in the area of vehicle ergonomics. JFF is familiar with the need to address ergonomic issues as they pertain to loading and unloading cargo. JFF advises Local Government bodies on vehicle design and modification to meet standards.